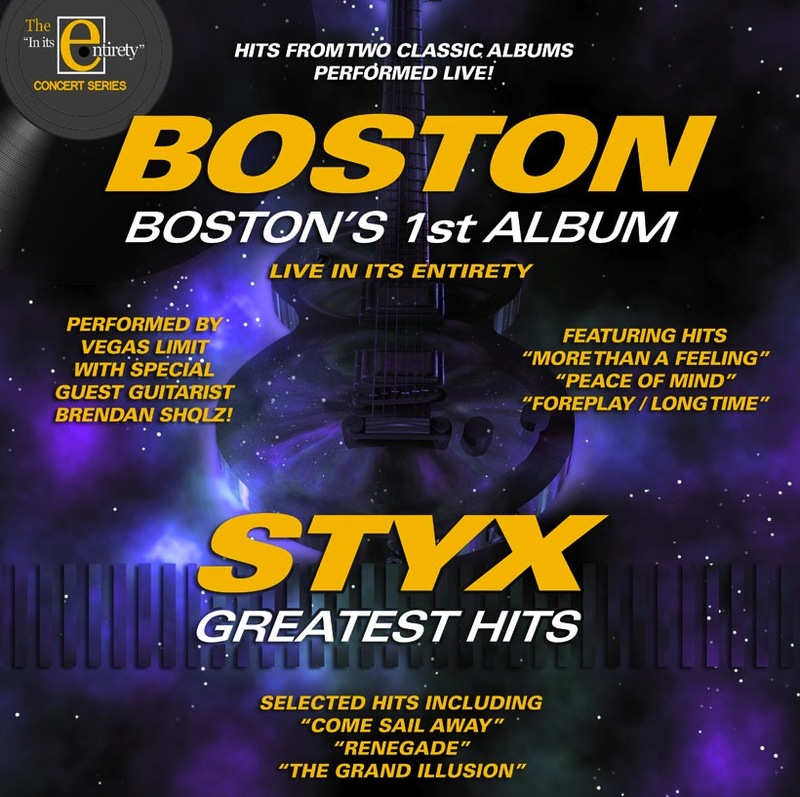 The entire Boston album (the first one) played live, track to track from cover to cover by Vegas Limit with special guest guitarist Brendan Scholz. See world class musicians deliver jaw dropping performances in this full concert presentation of the album that sold over 20 million copies and helped define Classic Rock as we know it today. In the same show you'll also hear a tribute to the best of the Styx Greatest Hits album. All the Styx tunes you grew up listening to from their vast catalogue of incredible music! Check the schedule now to find out when and where you can see this monumental live tribute performance of the music of two of the best loved and most enduring bands in the history of American music or if you are a Talent Buyer fill out the Contact form on this page to bring this exciting show to your venue.